Grab your mountain bike and head to Big Sky Resort to explore 50+ miles of exciting, lift-accessed, cross country and downhill mountain biking trails. Over the past few years Big Sky Resort has dedicated the time and energy into growing and expanding the resort into a world class mountain bike destination. If you haven't been mountain biking at Big Sky Resort, now is the time to go! To explore Big Sky's mountain biking playground, buy a lift ticket and ride Swift Current, Ramcharger, or Explorer chairs to your run of choice. There are rides and trails that will appeal to all levels of mountain biker. From green runs to double black runs, there's plenty to explore. Where will you go first? 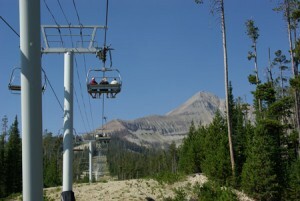 Big Sky Resort offers a wide variety of trails. From twisting and turning flow trails to technical downhill trails to epic jump lines, you'll have a blast exploring the sweet biking terrain at Big Sky Resort. If you want to compare it to other biking destinations, MTBParks.com, just rated the Big Sky Bike Park "a three-time Top Five winner in the MTBparks.com Riders' Choice Best Bike Parks Awards for the Northwest Region." Impressive. Mountain Biking at Big Sky Resort from Big Sky Resort on Vimeo. Of course, it's important to note that there is plenty of mountain biking at Big Sky Resort for every ability level. If you're new to mountain biking or you're keen to improve your skill set, book one of Big Sky's elite mountain bike guides to take your riding skills to a whole new level. These passionate and certified bike pros can teach you the tactics and techniques of shifting, braking, and cornering while using simple terrain progressions that will set you up for long term success. With a little help you can go from zero to hero on a bike in no time. If you're in Big Sky, spend a day at Big Sky Resort and go mountain biking. Bike rentals are available at numerous outdoor outfitters in the Big Sky area. Remember to check the bike trails report and download a biking map before heading up to the resort. Be safe and have an absolute blast! What mountain bike trail is going to be your favorite? Start easy and slowly ramp up your trail selection. And don't forget to share your ride on social with #visitbigsky. 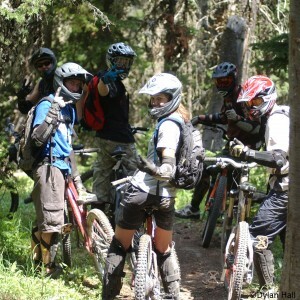 Learn more about Mountain Biking at Big Sky Resort at BigSkyResort.com.